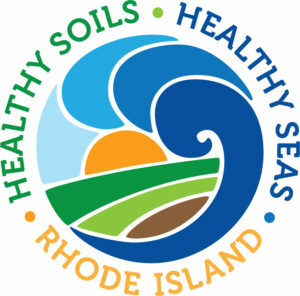 What is Healthy Soils, Healthy Seas Rhode Island? 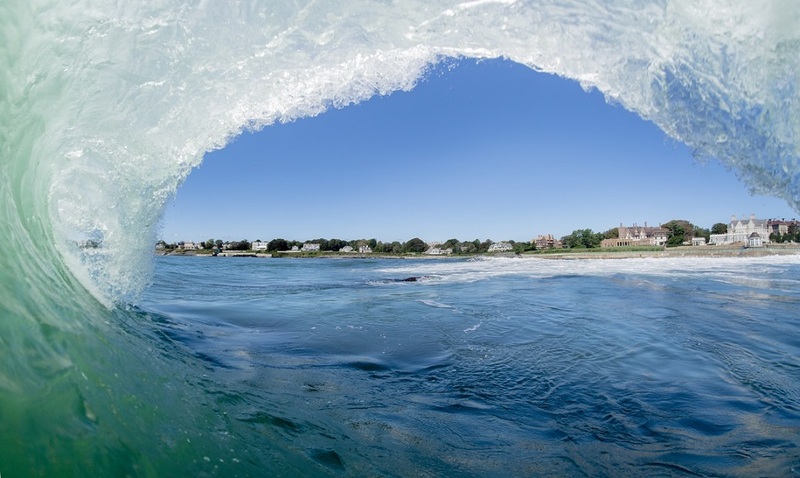 Clean Ocean Access is proud to announce the start of a multi-year project, funded by 11th Hour Racing, entitled Healthy Soils, Healthy Seas Rhode Island. This innovative project aims to inspire long-lasting environmentally responsible behavior by tackling ocean pollution at its root: on land. 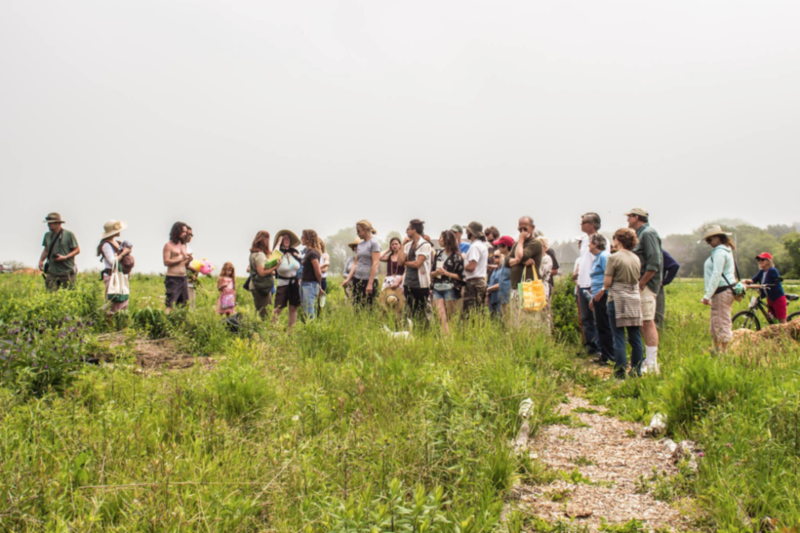 Healthy Soils, Healthy Seas RI brings together composting efforts across the state in partnership with existing food-waste-diversion groups: The Compost Plant, Rhodeside Revival and the Aquidneck Community Table. The three partners serve as the boots-on-the-ground team that will manage all commercial and residential composting collection and processing with an initial focus on Aquidneck Island. What are some of the project goals? The project strives to protect and improve ocean health by establishing an innovative and integrated materials management solution that brings together diverse stakeholders, including non-profit organizations, academia, government, local businesses, and industry. By encouraging people to think critically about their waste footprints, Healthy Soils, Healthy Seas RI aims to spark long-lasting behavior change that empowers people to reevaluate the need for low-and-no value materials that enter the landfill, or worse, that end up polluting our oceans. Citizen scientists - here is the link for metrics! Enter your data metrics right here. 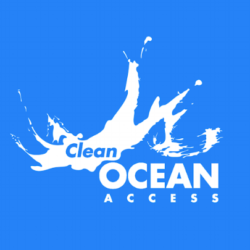 Formed in 2006, Clean Ocean Access (COA) has a primary focus on to eliminate marine debris, improve coastal water quality, and protect and preserve shoreline access. This new project formed out of the Clean Initiative and now has solid integration with the Ocean initiative and now we are thinking of using the compost soil amendment for shoreline access erosion control and improving ecosystem services. Aquidneck Community Table "Food-Scraps-to-Compost" program has diverted thousands of gallons of food waste from the state landfill since 2012, using that material to enrich the soil of our community gardens. Customers at our Middletown and Newport farmers markets drop off their food scraps to be composted for a small annual membership fee. After signing up and becoming a Healthy Soils, Healthy Seas Rhode Island Champion, please go to the their website and sign up for the service here. Rhodeside Revival is Rhode Island’s local curbside composting program that brings your home’s food scraps away from the landfill, and into the garden. After signing up and becoming a Healthy Soils, Healthy Seas Rhode Island Champion, please go to the their website and sign up for the service. To close the loop in the food system, turning food scraps and "waste" products into compost and soil mixes that help gardeners and farmers grow more local food. We believe more local food means healthier communities...and we believe it all starts with healthy soil. After signing up and becoming a Healthy Soils, Healthy Seas Rhode Island Champion, please go to the their website and sign up for the service. 11th Hour Racing works with the sailing community and maritime industries to advance solutions and practices that protect and restore the health of our ocean. Inspired by and furthering the mission of The Schmidt Family Foundation, 11th Hour Racing embraces sponsorships, grantees, and ambassadors who integrate sustainability into their values and operations while educating, innovating and inspiring people with the critical message of ocean stewardship. Read more about 11th Hour Racing online. Put a 5-gallon bucket of food waste on the curb and we'll leave you with a clean bucket. Receive HSHSRI discount and pledge to renew in 2020 and find 3 more customers. Same as subsidized service, and you get a kitchen bucket and scale to collect metrics. Put a 5-gallon bucket of food scraps on curb and we'll leave you with a clean bucket. Anyone can start backyard composting and complete kits range from $40 to $500 dollars. Same as subsidized service, and you get a kitchen bucket and scale to collect weekly metrics. Bring a 5-gallon bucket of food scraps to the farmer's market. Receive HSHSRI discount and pledge to renew in 2020 and find one more customer. In early November, Clean Ocean Access (COA) organized a tour of the Rhode Island Resource Recovery Corporation (RIRRC) and Materials Recycling Facility (MRF), located off I-295 in Johnston. Twenty participants engaged in a 90-minute interactive tour, during which they learned about the afterlife of trash and the rigorous waste management processes at RIRRC. Learn more here. Did you know that putting food scraps down your garbage disposal compromises water quality and the health of our freshwater resources? Krystal Noiseux, education and outreach manager at Rhode Island Resource Recovery Corporation (RIRRC) explains how fats, oils and grease (FOG) present the biggest obstacles to wastewater treatment plants. Learn more here. Composting is much more than a waste diversion strategy, it's a way to curb climate change and bring balance back to the carbon cycle. Diverting food waste through composting is a tangible way to make a difference that empowers communities to build a more sustainable future in harmony with the natural world. Learn more here. March 3, 2019 - Rhode Island, Feed the Hungry Not the Landfill! With over 100,000 tons of food waste entering our landfill each year, it's hard to imagine Rhode Island doesn't have enough food to go around for everyone. Unfortunately, the reality is quite different and the disparity between food waste and hunger presents a much greater challenge for our Ocean State. Learn more here. Rhodeside Revival is giving Rhode Islanders a unique way to make their state a little greener. What started as a composting club formed by three University of Rhode Island students back in 2013 is now a small business that benefits everyone involved. Two of the original three masterminds for the project --Conor MacManus, and Miguel Costa -- have taken the composting concept and scaled it up. Learn more here. What started as a simple discussion about a community farm between a coalition of island organizations, informally known as Island Commons in 2008, has since transformed into a grassroots movement led by Aquidneck Community Table (ACT) that connects, enhances, and educates the public about the importance of growing and strengthening our food system. Learn more here. 100,000 tons -- it's a difficult number to fathom, but it's a reality we all face as Rhode Islanders because 100,000 tons represents the amount of food waste that enters our Central Landfill each year, and we're quickly running out of space and time. Learn more here.